The general public as well as professionals like park rangers, ecology consultants, fishers or, of course, the ornithologists themselves might actually be users of an automated bird identifying system, typically in the context of wider initiatives related to ecological surveillance or biodiversity conservation. Using audio records rather than bird pictures is justified by current practices. Birds are actually not easy to photograph as they are most of the time hidden, perched high in a tree or frightened by human presence, whereas audio calls and songs have proved to be easier to collect and much more discriminant. The organization of this task is supported by Xeno-Canto foundation for nature sounds and the French projects Pl@ntNet (INRIA, CIRAD, Tela Botanica) and SABIOD Mastodons. 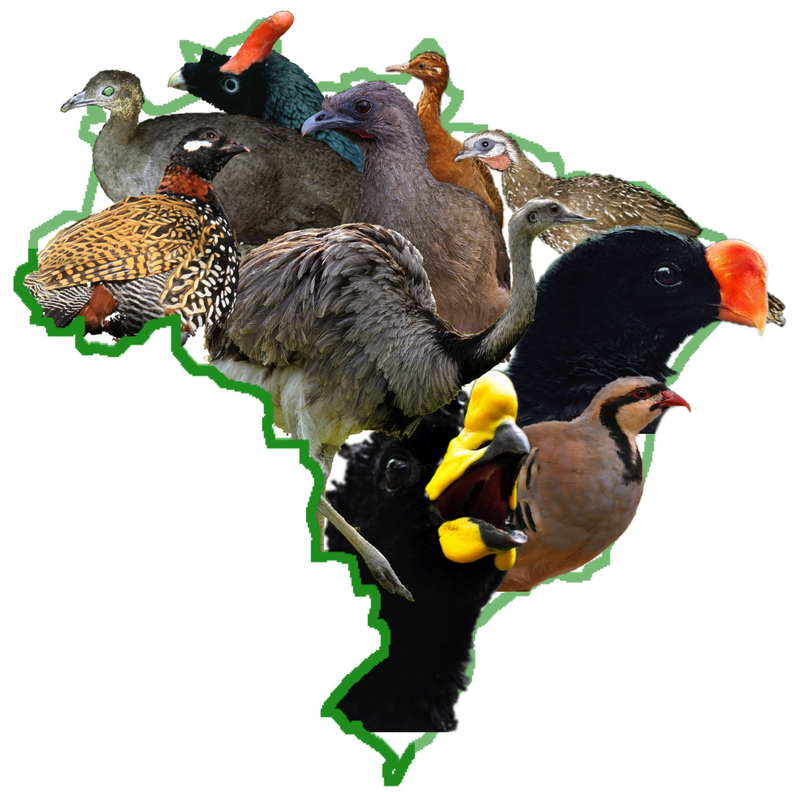 The task will be focused on bird identification based on different types of audio records over 501 species from South America centered on Brazil. Additional information includes contextual meta-data (author, date, locality name, comment, quality rates). The main originality of this data is that it was specifically built through a citizen sciences initiative conducted by Xeno-canto, an international social network of amateur and expert ornithologists. This makes the task closer to the conditions of a real-world application: (i) audio records of the same species are coming from distinct birds living in distinct areas (ii) audio records by different users that might not used the same combination of microphones and portable recorders (iii) audio records are taken at different periods in the year and different hours of a day involving different background noise (other bird species, insect chirping, etc). The dataset will be built from the outstanding Xeno-canto collaborative database (http://www.xeno-canto.org/) involving at the time of writing more than 140k audio records covering 8700 bird species observed all around the world thanks to the active work of more than 1400 contributors. - minimally 10 different recordists, maximally 42, per species. 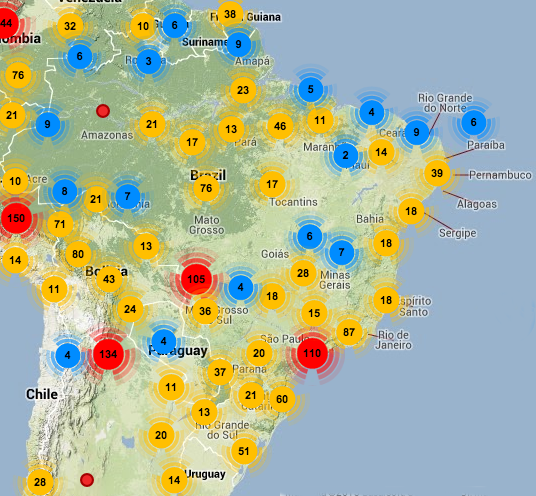 Audio records of the Xeno-canto dataset centered on Brazil (13/11/2013). Please DO NOT download the whole Xeno-canto data yourself by using their API. Their system is actually not calibrated to support such massive access and they will provide us specific links to download the training data. Please also notice that, to allow a fair evaluation, it will be strictly forbidden to use the online resources of Xeno-canto as training data because some of them might be used as queries in the official test set of the task. More generally, it will be forbidden to use any external training data to enrich the provided one. Many Xeno-canto contents are actually circulating freely on the web and we could not guaranty that the data crawled by some participants does not include some of the records we will use in the test set. In order to avoid any bias in the evaluation related to the used recording devices, the whole audio data has been normalized by Univ. Toulon Dyni team: normalization of the bandwith / frequency sample to 44.1 kHz, .wav format (16 bits). They also provide audio features for both training and test recordings that could be used by any participant, based on Mel Filter Cepstral Coefficients features optimized for bird calls. They are similar than in the previous bird classification challenges ICML4B 2013 and NIPS4B 2013, allowing interesting comparisons. 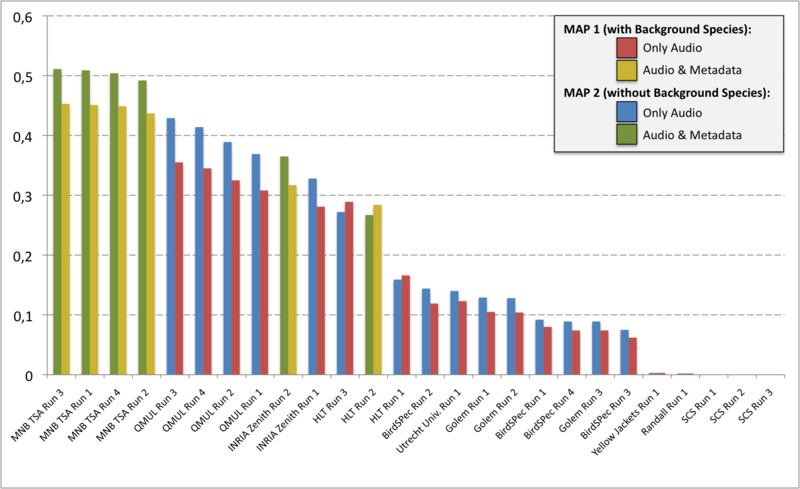 Therefore, 16 MFCC (first coeff = log energy) are computed on windows of 11.6 ms, each 3.9 ms. We derive their speed and acceleration, yielding to one line of 16*3 features per frame. Scripts are detailed at http://sabiod.org/nips4b/ . The task will be evaluated as a bird species retrieval task. A part of the collection will be delivered as a training set available a couple of months before the remaining data is delivered. The goal will be to retrieve the singing species among the top-k returned for each of the undetermined observation of the test set. Participants will be allowed to use any of the provided metadata complementary to the audio content. As it was mentioned below above-said, the "Background" field in the Metadata may indicate if there are some other species identified in the background like for this observation or not even if Xeno-canto encourage to identify them. Some audio records may also not contain at all a dominant bird species like in this example. The training dataset will contain only audio records with a dominant bird species, with or without other identified bird species in the background. Participants are free to use these background informations or not. The training data finally results in 9688 audio records with complete xml files associated to them.Download link of training data will be sent to participants on 05/02/2014. The test data results in 4339 audio records with purged xml files. Optionally, you can add one or several bibtex reference(s) to publication(s) describing the method more in details. It ranges from 1-5, with 1 being best quality and 5 being worst quality, correct? 0 means unknown rating. What is the maximum allowed number of submissions? The number of submissions is 4. How is the classID field created? Can we relate genus and species information with class ID? There is no obvious rule for relating the genus and species information in the class ID. Run format : What is the rank field in the submission format? The field is the most important field since it will be used as the main key to sort species and compute the final metric which is based on the Mean Average Precision. The scenario expressed in this challenge is more related to a species retrieval system, where a user browse a result list of relevant species, than a "pure" classification problem where a system have to predict the correct species. Then the challenge for each query is to put as much as possible the correct species at the top of the result list. Does every participant have to submit working notes for the conference? We warmly encourage participants to submit working notes in order to make more credible the results obtained within the bioacoustic community. A total of 10 participating groups submitted 29 runs. Thanks to all of you for your efforts and your constructive feedbacks regarding the organization.